"Up Up & Away" Too contains more digital background papers to help you create the perfect layout or card. Choices, choices and more choices...how delightful! These digital background papers are NOT included in the FQB "Up Up & Away" Collection, so please don't miss out! 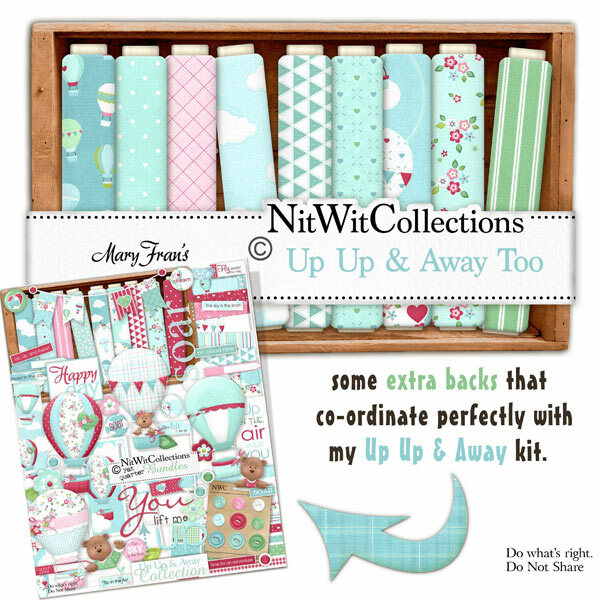 16 digital background papers that coordinate and colour match my "Up Up & Away" Collection.